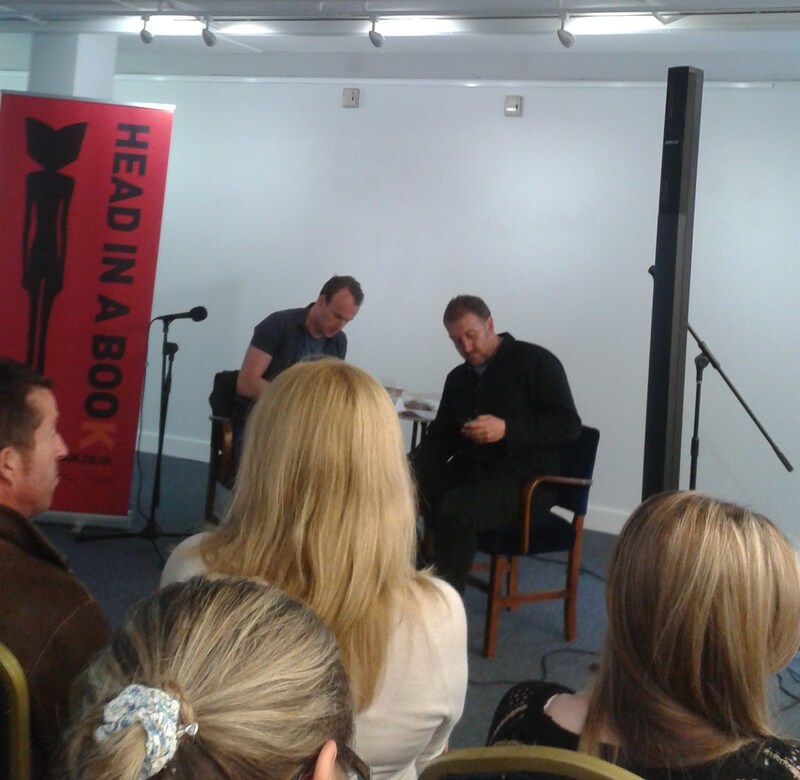 Matt Haig talks to Russ Litten at Head In A Book, Hull! Matt’s most recent book, Reasons To Stay Alive, was the main focus of the book event, but he discussed most of his novels and writing. In a Q&A session with Hull author Russ Litten, Matt talked at length about his continuous struggles with mental illness and depression and how it shaped his writing and reading habits over the years. He began with an explanation of his breakdown which happened to him in his early twenties – how he was in a constant state of pure panic, how the breakdown was physical as well as mental, how he was in terrible discomfort for a week and couldn’t eat or sleep. He felt suicidal, and even when the worst of it passed, it was a condition that never quite went away. Back at his parents’ house, where he spent his time in recovery, he found that he couldn’t bring himself to read. Even when he did start reading, he could only bring himself to read his childhood books, and nothing more. Reading was a source of comfort for him, but only when he was reading things that were familiar. He couldn’t face anything new, or, essentially, the ‘unknown’. As someone who has a family member diagnosed with GAD, I could understand this perfectly. Familiarity often makes us feel safe, and a familiar world within a familiar book is one of the safest places to be – at least mentally. So, how did Matt’s struggles with his mental health affect his writing and the novels that we, as his fans, have come to love? However, he did begin to write after the anxiety and depression kicked in. A lot of Matt’s writing is in some way influenced by his struggles with depression. His first novel, The Last Family in England, was written soon after his breakdown occurred, and he was suffering from separation anxiety from his girlfriend. His mum was battling cancer and he was unemployed, and needed something to occupy himself and fill the time. So, did he start writing novels expecting to be published? 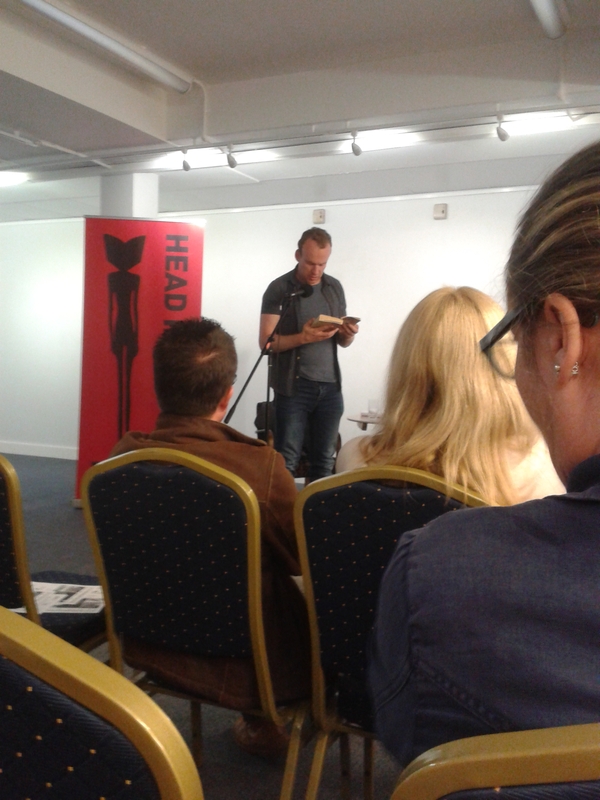 Russ Litten tweeting about Matt Haig minutes before the event kicked off. Matt’s second novel Dead Father’s Club was much darker, he explained, because he was sinking bank into illness and depression. It was a tough time; he suffered from ‘second novel syndrome’ and looking back, he said, he could tell in his writing that his mind was in a darker place. Dead Father’s Club tells the story of a young boy who loses his father and is visited by his ghost (and is in this way loosely based on Hamlet.) It deals with a noticeably more serious subject matter, and is therefore another of his works that was influenced by his emotions. So that explains The Radleys, Russ Litten commented. But why did you decide to write a novel from the point of view of an alien? “When you’re writing, sometimes you need to take a big step back and look at the bigger picture, like when an artist is looking at a painting they’re working on,” Matt explained. “With The Humans, I was able to do that. I was able to write a narrator that looks at the human race from the outside in, and in this way I could easily show how alien the world can seem. I don’t have answers to the big questions in life, and so The Humans allowed me to ask the questions and ponder why we are the way we are. The alien is an outsider and that’s how I often felt when I was ill. In light of your occasionally fragile state of mind, Russ Litten put to Haig, how do you deal with negative criticism? When asked by Russ Litten if writing helped his condition, Matt launched into a powerful and moving discussion of literature and books. He explained, “Writing has always given me something to focus on. Paid writing in particular gave me a real boost, a reason to live, if you will. Talking is therapeutic, but it can be both physically and mentally hard to speak when ill. Writing can help overcome that – when I wrote, it felt like a lightening of the weight in my brain. Taking something painful and giving it language, a thing that is shared by all humans, tames the problem and makes it manageable. When I was depressed, I felt alone, divorced from the world. But language is the umbilical cord that connects us back to each other, and to life…. Matt is just as brilliant with words and language in person as he is on the page. This was a truly inspiring event to be a part of. No matter what Matt Haig was feeling when he wrote each book, as a big fan of his I can truly say that he wrote some truly fantastic novels. As he said repeatedly, each piece of his work has been affected in some way by his state of mind but that in writing each one he helped himself to come to terms with it and make sense of it in a wider context. It definitely resulted in some truly amazing work. 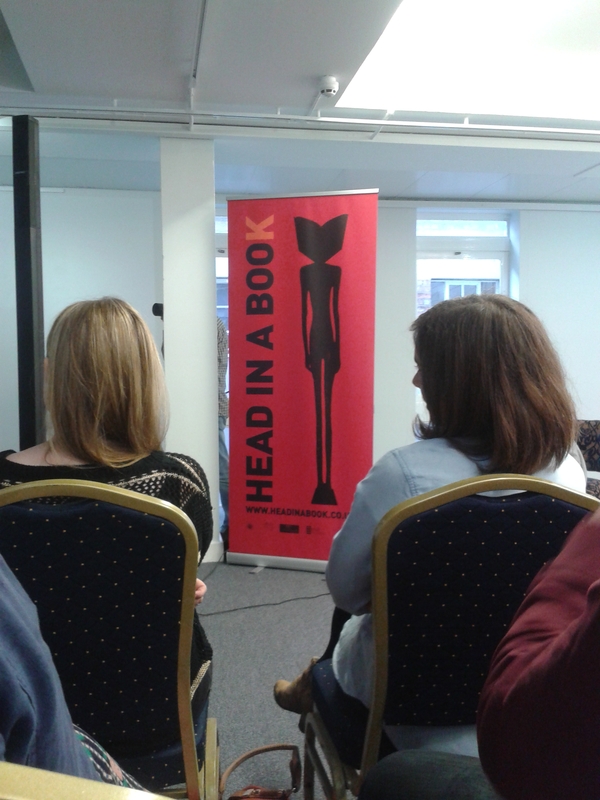 A big thank you to Head In A Book for making this event happen! I bought this book as a treat for myself on the way back from the London Book Fair in April. It’s a long wait and a long train ride for me to get home. What way is more perfect to pass the time than a bit of reading? I’ve heard a little rumour that Matt Haig might be coming to Hull for an event in the near future, so thought I’d give one of his titles a try in advance! After an ‘incident’ one wet Friday night where he is found walking naked through the streets of Cambridge, Professor Andrew Martin is not feeling quite himself. Food sickens him. Clothes confuse him. Even his loving wife and teenage son are repulsive to him. He feels lost amongst a crazy alien species and hates everyone on the planet. Everyone, that is, except Newton, and he’s a dog. Who is he really? And what could make someone change their mind about the human race? 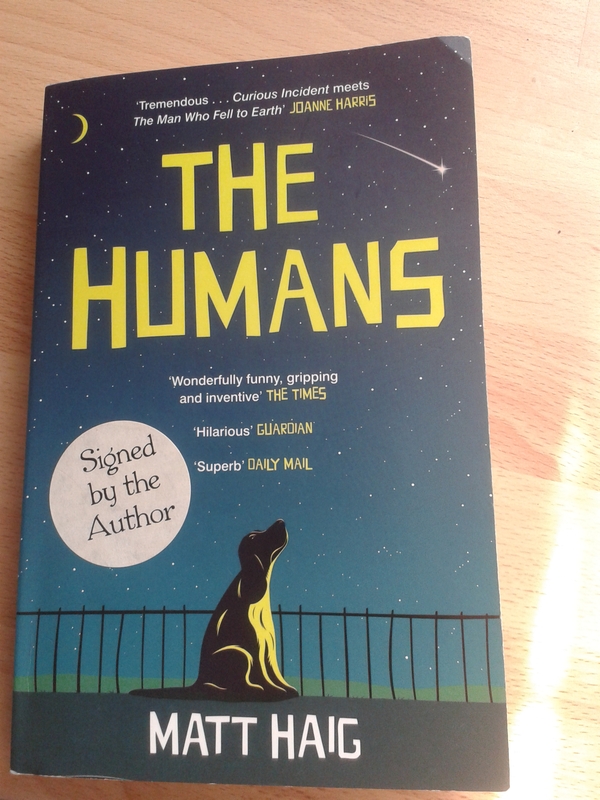 The Humans is a hilarious and thoroughly philosophical examination of the human condition and the human way of life. I won’t be spoiling this for you when I reveal that Andrew Martin has been replaced with an alien, because you find this out in the first page. What this gives us is an outsider’s perspective on humans and all of their eccentricities. In a very amusing but also very clever way. The alien, whose name you never find out, is on Earth attempting to hide a secret that Professor Andrew Martin had – a very valuable and, in the aliens’ eyes, very dangerous secret that must not be told or discovered. If it does, it will set the human race on a path to self-destruction. Emotion and anything outside of rationality and logic are completely unacceptable. Anything even remotely human-like, from the human form to the way humans live their lives, is utterly repulsive and baffling to him. And yet he must now live among them and get away with fooling people that he is Andrew Martin. Cue the hilarious mistakes and misunderstandings. Some of them had me in fits of giggles. I won’t spell them out as it would ruin it for you, the reader, (who will of course go straight out to buy the book after reading this review) but it’s the first time I’ve laughed out loud and for so long at a book for a long time. Although the book is very comical, it also does more than a good job of reminding us how we have failed as a race and failed our planet. It points out many of our flaws and our mistakes. (I perhaps found the passages where the aliens discussed these failures and just generally communicated with one another a little over-dramatic and a bit too Hollywood, but it in no way damaged the book as a whole.) The narrator makes us evaluate ourselves, our mindsets and our beliefs. The humans are an arrogant species, defined by violence and greed. They have taken their home planet, the only one they currently have access to, and placed it on the road to destruction. They have created a world of divisions and categories and have continually failed to see the similarities between themselves. She said being human is being a young child on Christmas Day who receives an absolutely magnificent castle. And there is a perfect photograph of this castle on the box and you want more than anything to play with the castle and the knights and the princesses because it looks like such a perfectly human world, but the only problem is that the castle isn’t built. It’s in tiny intricate pieces, and although there’s a book of instructions you don’t understand it. And nor can your parents or Aunt Sylvie. So you are just left, crying at the ideal castle on the box which no one would ever be able to build. This is such a profound commentary on the difficulties of life and building the ideal ‘life’. While I do believe that if you work hard enough, you can get what you set out to achieve, the passage is so true in terms of how helpless and lost people can feel going through life. Haig takes characters within the novel and uses them as embodiments of the fear, insecurities, and also triumphs within human existence. The above passage is one character Maggie’s view of life, but it is a view that many readers will relate to. Naturally, the longer the alien spends on Earth among humans, the more he can relate to them and he starts to enjoy the experiences of life, something he does not have on his own planet. He begins to enjoy music, food, wine, love, laughter, and companionship. He does not have happiness, or love, or pleasure on his home planet. All he has back home is logic and mathematics, and he soon begins to realise that despite the pain, and loss, and disappointment of human life, it still has so much beauty to offer. He understands that we are strange, self-destructive, impulsive and reckless race, but it’s these very things that redeem us in his eyes. He knows that humans contradict themselves in every turn, but eventually he loves that about us. Two reasons that the main character takes such a U-turn in his feelings towards humans are Andrew’s wife and son, Isobel and Gulliver. Each character is going through their own pain and internal struggle, mostly caused by Andrew Martin himself. Our protagonist has to deal with this and try to make amends for Andrew’s behaviour, all the while knowing that it isn’t one of his priorities or objectives. And for this reason, as a reader I began to empathise with the alien who believes that humans are so imperfect as to be doomed. I genuinely couldn’t help but feel for Isobel and Gulliver and I often found myself wishing that the alien could right Andrew’s wrongs. Whether or not he manages this is something you’ll have to find out for yourselves. The Humans is a brutal evaluation of human life, but it also celebrates it. Haig made me take a critical view of myself and the human race but also made me realise just how brilliant we all can be. We get out of life what we put into it. The book is incredibly funny, and sad, and heart-warming, and entertaining. I strongly urge you to make this book your next purchase.